Babes know the magic of masks to really supercharge a skincare routine. Mask and chill works gently while you chill: brightening, protecting against pollution damage and sucking out excess oils to help tackle acne. Activated charcoal pulls out toxins and other crap clogging your pores to shrink their appearance. Brightening liquorice root evens out skin tone and balances oil levels to help keep acne away. Moisturising shea butter provides essential fatty acids to nourish for extra glowiness. Detoxifying Dead Sea mineral mud draws out oils and grime to perfectly purify, leaving your skin crystal clear. Skincare superstar hyaluronic acid quenches skin with mega hydration, helping to plump, soften and smooth. aqua, maris limus, emulsifying wax nf, kaolin clay, activated charcoal, helianthus annuus seed oil, vegetable glycerin, olea europaea oil, cocos nucifera oil, butyrospermum parkii, prunus armeniaca kernel oil, phenoxyethanol, ethylhexylglycerin, zinc oxide, glycyrrhiza glabra (liquorice) root extract, stearic acid, xanthan gum, allantoin, avena sativa meal extract, α-tocopherol, sodium hyaluronate (hyaluronic acid). 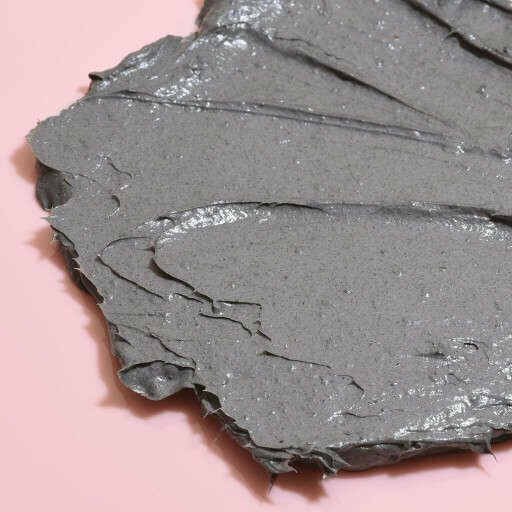 An unfragranced, super sensitive mud mask for babes who need a bit of gentle TLC. Its rich, luxurious creamy texture won't dry out on your skin. Made with soothing, gentle ingredients. Neutral scent. Smooth a generous layer onto clean, moist skin and let the mask get to work while you chill for 10-20 minutes. Rinse with warm water and follow with Aloe Gorgeous for sensitive moisturising goodness! Vegan, hypoallergenic, suitable for all skin types (especially sensitive skin), cruelty free, paraben free, sls free, made in the UK. I have only used this a couple of times but my skin was noticeably brighter and less irritated afterwards. I love it! Clay/mud masks generally tend to dry out my skin and leave it tight, red and irritated. This is not the case with this amazing mask, it absorbs excess oil and deeply cleanses whilst soothing and nourishing my skin, it's an amazing product. I love the thick texture and the fact that there is no stinging, tingling or irritating fragrance. Leaves my skin looking very radiant and nourished plus it helps to reduce redness and spots. Highly recommend to those with sensitive or dry skin or if you don't enjoy the dry tightness of some clay/mud masks. This mask is absolutely amazing on my dry winter skin. I leave it on for about 10 mins and after washing it off my skin feels super soft, plumped and not dry (usually when I rinse off a mask my skin gets super dry) but with this mask my skin doesn’t feel dry at all!! Just like the name, you can Mask and Chill. It's such a soothing mask that leaves your face nice and soft after rinsing it off. I reach for this one when I literally want to relax, but not have to worry about preparing it myself like other clay masks. This mask is perfect for my oily acne prone skin. It’s really gentle but effective at controlling oil. It leaves skin soft and soothed.